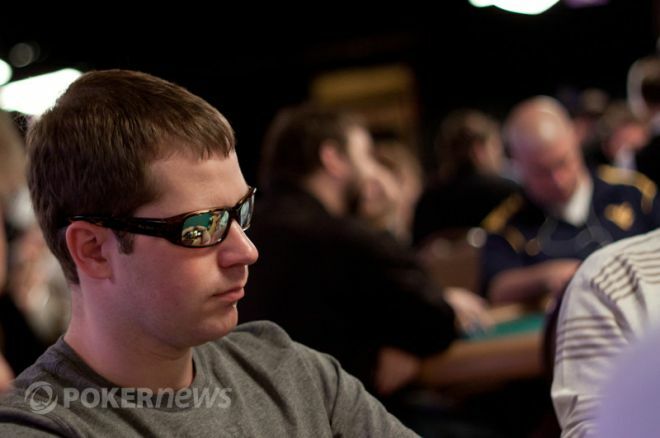 Ever since Chris Moneymaker wore a pair of Oakley shades on his way to defeating Sammy Farha in the 2003 World Series of Poker Main Event, followed by Greg Raymer’s patented holographic lizard-eye shades in 2004, it seemed like poker amateurs all over had to have a pair of sunglasses to improve their game. However, the fad in poker eyewear has created a debate that has heated up in recent years; more specifically, whether or not sunglasses are good for the game. By endorsing BSO as its official poker eyewear, the WSOP clearly doesn’t have any qualms about sunglasses in poker; although, BSO isn’t your traditional pair of sunglasses. Instead, the company prides itself on designing eyewear that blocks the eyes while allowing in enough light to combat the darkness that has come to be associated with card rooms. In other words, the perfect pair of shades for poker. According to the BSO website: “In 2006 we began our quest with one mission in mind: Create the ultimate in poker eye wear. After almost 5 years of seemingly endless research and testing cycles, we have finally created a product that the poker community has fully embraced." It really comes as no surprise that BSO was able to secure a strategic partnership with the WSOP, after all, they’ve been present at the Rio for years. Aside from the general poker fan, a number of poker professionals swear by BSO and consistently don Blue Shark Optics shades including Hoyt Corkins, Humberto Brenes, Young Phan, Kathy Liebert, and Jonathan Little. Needless to say, some pros advocate the wearing of sunglasses in poker. PokerNews recently caught up with a few players to ask their opinion on sunglasses in tournaments, and whether their prohibition would have a negative or positive impact the game. While you can find players on each side of the sunglasses debate, the vast majority lie somewhere in between. We recently caught up with Jason Koon and David Benefield as they both made deep runs in Event #46: $10,000 No-Limit Hold’em/Six Handed. Whether or not you wear sunglasses at the poker table, it seems that they are here to stay — at least when at the World Series of Poker. For live updates from the 2011 WSOP, be sure to follow our live updates from each of the 58 events. In the meantime, be sure to follow us on Twitter and like us on Facebook.